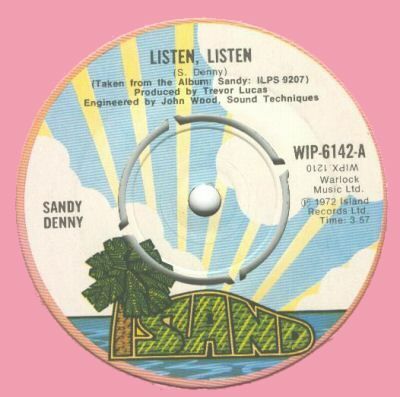 This song (on which Richard Thompson plays mandolin and Sandy 12-string guitar with the rhythm section of Pat Donaldson and Timi Donald) was released in 1972 on Sandy Denny's second solo album, Sandy , and as a single with the B-side Tomorrow Is a Long Time. It was also included on her anthologies Who Knows Where the Time Goes? 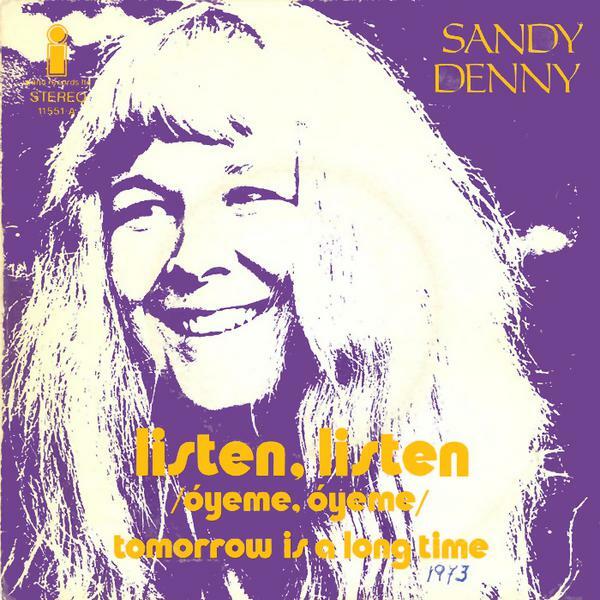 , The Best of Sandy Denny , and No More Sad Refrains . A French version of this song, titled Écoute, Écoute was meant to be released as a single, but there is no evidence that it has ever been released as such. However, it can be found on the cassette Together Again: The Attic Tracks Vol. 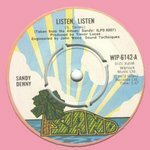 4 , on The Attic Tracks CD , on the 5CD Fledg'ling Sandy Denny anthology A Boxful of Treasures , and as bonus track of the 2005 CD reissue of Sandy . The backing track is remixed from the original version.